Though the Supreme Court is still hearing a clutch of petitions challenging the constitutional validity of the Aadhaar Act, the Reserve Bank of India updated its master circular on know-your-customer (KYC) norms on Friday making Aadhaar and PAN cards mandatory for bank accounts, new as well as existing ones. The timing of the exercise is questionable since the apex bank significantly added that "The revised Master Direction is in accordance with the changes carried out in the PML [Prevention of Money-Laundering] Rules..and is subject to the final judgment of the Hon'ble Supreme Court.." in the guidelines uploaded last Friday. Regulated entities (REs), as part of customer due diligence (CDD) while establishing an account-based relationship, will have to obtain Aadhaar number "from those eligible for it" along with the Permanent Account Number (PAN). If an individual does not have an Aadhaar card, "proof of application of enrolment for Aadhaar shall be obtained wherein the enrolment is not older than 6 months and in case PAN is not submitted, certified copy of an OVD [officially valid document] containing details of identity and address and one recent photograph shall be obtained," said the master direction. Residents of Jammu and Kashmir, Assam and Meghalaya, who are not yet in the Aadhaar net, need to furnish OVD, which includes passport, driving licence and Voter Identity Card, among others. The guidelines add that should the Aadhaar number or PAN submitted by the customer not match the current address, documents like utility bills or municipal tax receipts will suffice as proof of address. But the catch is that "the customer shall submit Aadhaar or OVD updated with current address within a period of three months of submitting the above documents". Significantly, the updated guidelines make it clear that "In case the customer eligible to be enrolled for Aadhaar and obtain a Permanent Account Number" does not furnish the same "within a period of six months from the date of the commencement of the account based relationship", the account will "cease to be operational" till the time the above details are submitted. In the case of loan accounts, this will mean only credits will be allowed till Aadhaar and PAN details are furnished by the customers. Several banks now promise "super quick" new bank accounts using Aadhaar OTP E-KYC authentication. But the apex bank's new guidelines take a hard stand on them. To begin with biometric based e-KYC authentication has to be completed for all such accounts within one year, else they will be closed immediately. Moreover, the aggregate balance of all accounts that are opened in a "non-face-to-face" mode is now capped at Rs 1 lakh. In case the balance exceeds that threshold, it will cease to be operational till CDD is completed post haste. No Aadhaar and no PAN card? If you neither have an Aadhaar card (or an enrolment number) nor a PAN card, all you get to open is a "small account" in select bank branches - either at Core Banking Solution (CBS) linked branches or in a branch where it is possible to manually monitor and ensure that foreign remittances are not credited to the account. For the record, in a small account the aggregate of all credits in a financial year is capped at Rs 1 lakh while the aggregate of all withdrawals and transfers in a month is capped at Rs 10,000. In fact, the account balance at any point of time cannot exceed Rs 50,000. Such an account can "remain operational initially for a period of twelve months, which can be extended for a further period of twelve months, provided the account holder applies and furnishes evidence of having applied for any of the OVDs during the first year. Aadhaar/enrolment number, however, enters the picture should there be any suspicion of money laundering or financing of terrorism activities or other high risk scenarios. Feeling like the victimised aam aadmi already? Well, if it makes you feel better, the "don't-you-know-who-I-am" brigade has not been spared either. The new guidelines carry an entire sub-section focussed on accounts of Politically Exposed Persons (PEPs), like heads of states/governments, senior politicians, senior government/judicial/military officers, senior executives of state-owned corporations, important political party officials, et al. Apart from making it mandatory to take the decision to open an account for PEPs at a senior level, the guidelines specify that "all such accounts are subjected to enhanced monitoring on an on-going basis". 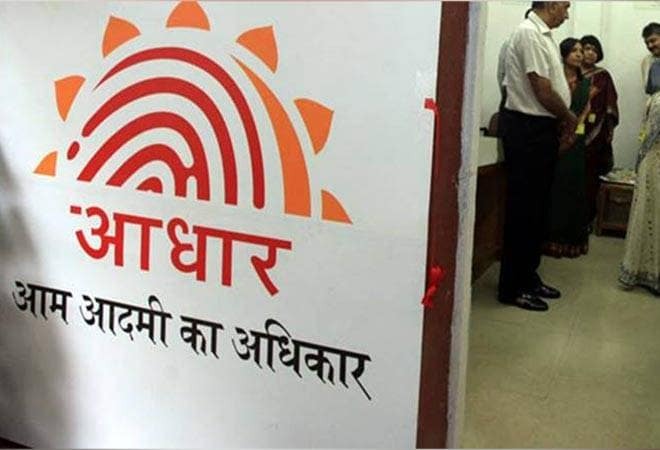 Barring residents of Jammu and Kashmir, Assam and Meghalaya, all existing banking customers have to "submit the Aadhaar number and Permanent Account Number/ form 60 by such date as may be notified by the Central Government". Failure to do so will lead to the account being frozen till the details are furnished but the REs will have to serve at least two notices for compliance before taking this stand. Furthermore, periodic updation of records shall be carried out at least once in every two years for high-risk customers, once in every eight years for medium-risk customers and once a decade for low-risk customers. In case identification information available with Aadhaar does not contain current address - or if a person is not eligible for Aadhaar - an OVD containing identity and current address will be required. The RBI's KYC circular clearly states that the information collected from customers for the purpose of opening of account shall be treated as confidential and cannot be used for cross selling or for any other purpose "without the express permission of the customer". Senior bankers told The Business Standard that they were still trying to assess the changes and that there were some gaps in the interpretation and implementation of the revised rules. The Indian Banks' Association (IBA) is likely to convene a meeting to finalise issues that would be taken up with the RBI. Lok Sabha Election 2019: Can the regional parties stay strong amidst BJP-Congress battle?